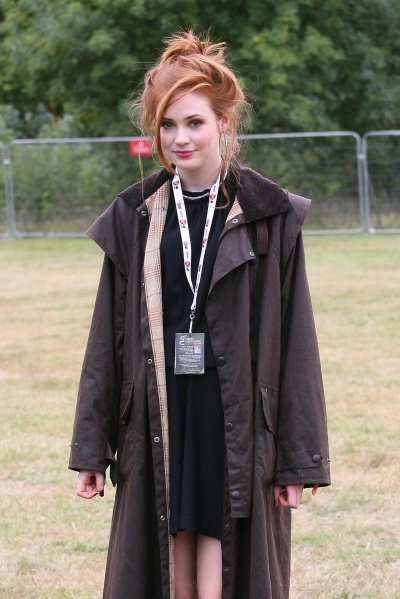 I really can't get enough of Karen Gillan's style at the moment. She looks so, so stylish with every outfit, without ever looking too trendy. Meaning her looks are always classic and if you looked back on them a couple of years later, they wouldn't look dated. Sigh! She may or may not have an amazing stylist helping her along, but even off-duty she always looks so edgy and cool, so I say she just has an extremely enviable flair for dressing. I think a big key to her look is VINTAGE. You get the feeling that she invests a lot of time into finding unique pieces, which give her outfits that lovely unattainable quality. Well, lovely for her, not us! She also makes me want to colour my hair a bright auburn. Watch this space to find out whether I bottle it (geddit?!). What do you think of Karen's hair colour and style?